Norton Priory Museum and Gardens, Runcorn, Cheshire. Commissioned by Norton Priory Museum Trust. Cheshire County Council, ICI, Merseyside Arts and Warrington and Runcorn Development Corporation contributed to the costs. Plant Head was modelled in clay and cast into glass reinforced concrete and painted with Acrylic. 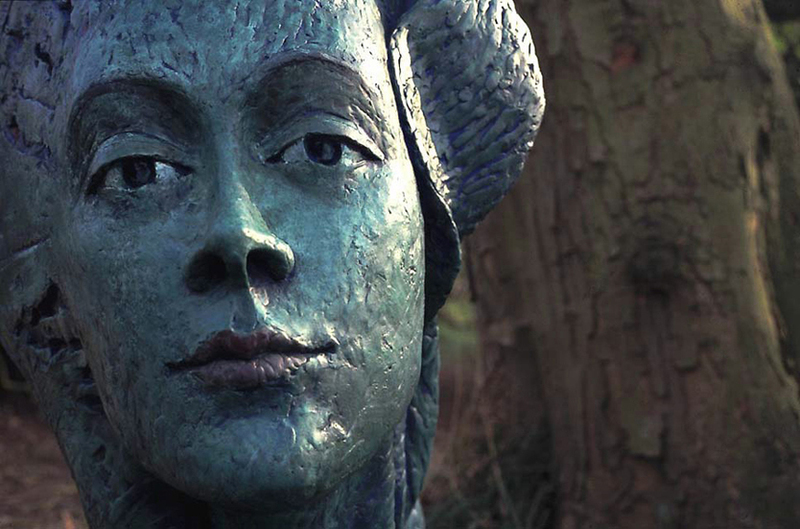 The 132cm high sculpture is sited on a bank overlooking the little stream that runs through the grounds.